It is the first Wednesday of the month which means it is Winner Wednesday. I'll blog about one of my products and then give it away to one lucky reader tonight. 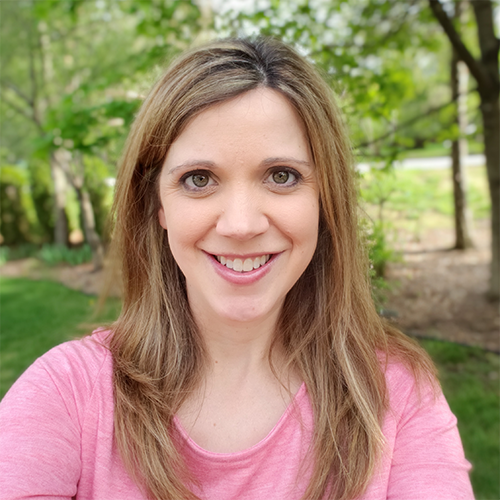 Hop on over to Jennifer at A Dab of Glue Will Do's blog to see all the awesome products you could win today or to get more information about joining us next month. Today I am giving away my number mini books. I made these for a friend that I used to teach with. 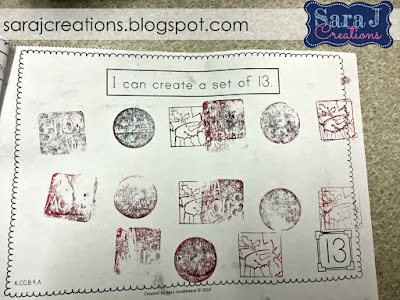 She wanted a way for her kindergartners to practice a new number each week but wanted different ways to practice and represent the same number. While Common Core expects kindergartners to learn up to number 20, the district she teaches in requires they go up to 30 so the books include numbers 1-30. These books come two to a page and you cut them in half so that they are a mini book size. Let's take a look at each page. Page 8 - Count and write the number on the corresponding shape. All directions are given as I can statements. My friend sent me a few pictures throughout the year as her little ones used the books. 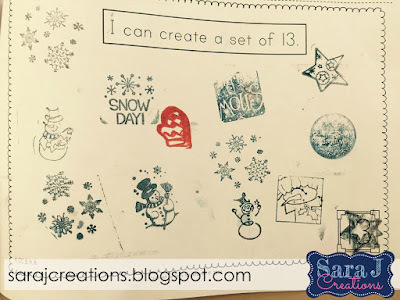 For the I can create a set of pages, she had them use stamps instead of drawing. She tried to find small seasonal stamps. Near the end of the year, she used bingo daubers instead. Do you want to try it out? I have the number one book included in my Number One freebie. 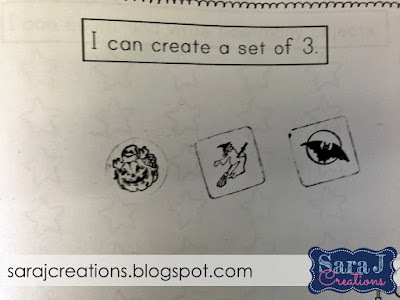 It also includes other activities designed for math centers all focusing around the number one. Do you want a chance to win? Just fill out the rafflecopter below for your chance to win. Remember, the contest closes tonight and the winner will be notified tomorrow. Didn't win but still interested? Check out Number Books HERE. These number books look amazing! 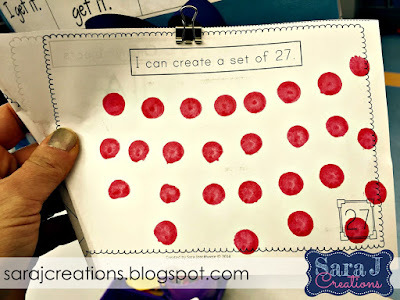 What a great way for my kinders to improve their number sense! I also love that they are easy enough for them to read independently during Read to Self or Read to Someone! Thanks so much for sharing such a great activity with us!